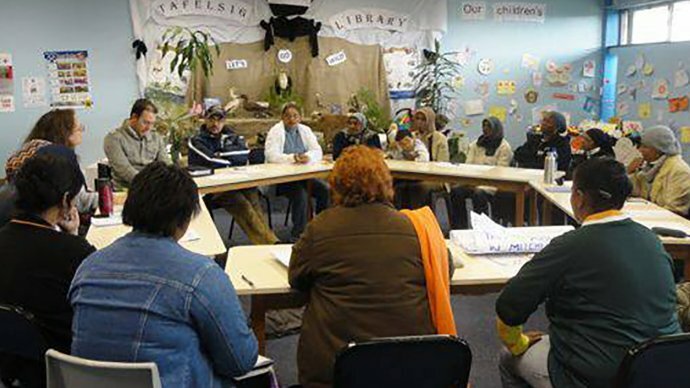 RESYST members Jane Doherty and Lucy Gilson have published a report following a three-day consultative workshop in Cape Town. The workshop brought together 35 leadership training experts from a range of institutions to enhance the capacity and capabilities of the people and systems engaged in leadership development. "Fast-changing and unpredictable health systems require creative, intelligent and resilient leaders"
The norm in leadership training is formal, residential training programmes which face a number of limitations and can be disruptive to service delivery. The participants brainstormed how training institutions and governments can better support public health sector leaders to realise their leadership potential through enabling learning in the workplace. What are the key challenges faced by leaders trying to operate effectively in the public health sectors of their own countries? What type of leadership does the public health sector need? What tools and approaches can best to support workplace-based learning? How can we make workplace-based training sustainable? The informal report is intended to generate excitement for designing and supporting workplace-based learning in low- and middle-income country settings. It also includes detailed sections outlining experiences, strategies, critical reflections and recommended techniques that were discussed during the workshop. The report also recommends useful resources for further development.